to do the RIGHT THINGS. 1. When employee engagement or 360-degree surveys highlight leaders don’t have the right interpersonal skills to build trust with their direct reports and peers. Trust between a manager and an employee is the most important predictor of employee engagement. 2. When talent attraction and retention is important for your brand. The most talented performers gravitate to a high trust environment. 2. When you’re transforming your internal structure to more agile ways of working. 4. When project teams aren’t meeting deadlines, coping with change or improving quality and safety standards. Creating a high trust culture boils down to every employee knowing they can rely on every person around them. 5. When you’re doing an offsite and you want to drive real solutions and improve leadership simultaneously. Find out where you are, so you know where you are going. Improve leadership and team competencies around delivering on promises. Improve leadership people leadership competencies and have access to our extensive video training library. How do you get employees to accept change and pull together to reach a common goal? Through building a high trust organisation. 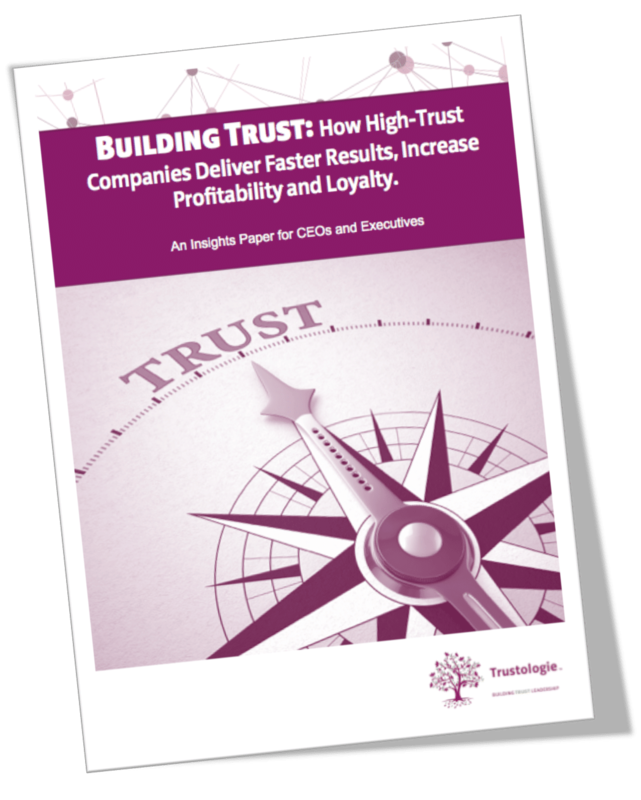 Companies that generate a high-trust work environment and leaders have 2.5 times the revenue than low trust companies. Download this complimentary Insights Paper to find out more.